clean/new soft bristled brush so that you do not hurt your lip. Take some Vaseline and apply it onto your lips. Scrub your lips with the toothbrush for few minutes and wipe off the Vaseline. Apply lip balm and you are done. Do this every night before bedtime to see positive results. I swear by this remedy since I am flowing it since years and is a secret behind my soft, plump and pink lips. If you have been a lip-biter for years, thus method will also help you get rid of it. 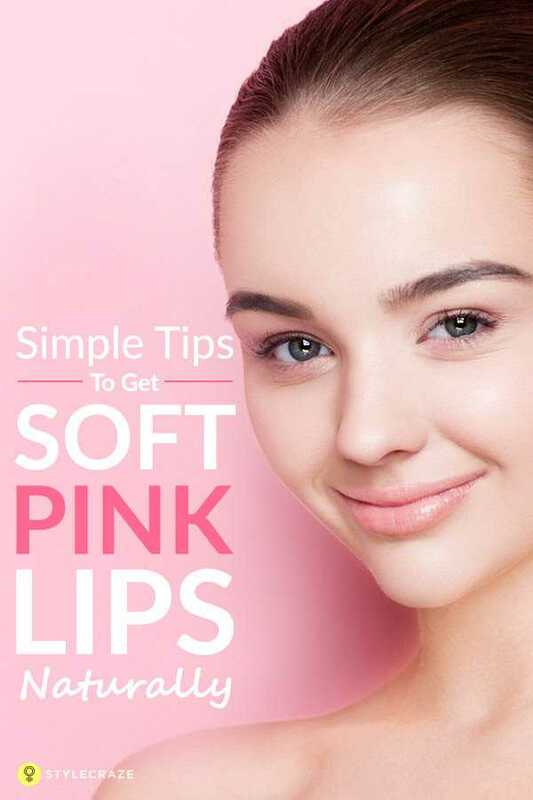 Take a thick lip balm or pure aloe vera gel. Apply it generously onto your lips before bedtime and wipe it off in the morning using a tissue or cotton ball. The treatment will also remove the top dead skin layer from your lips making them pink and soft. There are a lot of lip scrubs available in the market but why spend when you can easily make it home? All you need is little sugar, some honey and olive oil. Combine honey and olive oil and add in roughly powdered sugar. Mix well and use it as a lip scrub. Coconut oil helps to soften the lips and lighten your lips. If you have dry, chapped lips apply a small amount of coconut oil before going to bed to wake up to baby soft lips. To get rid of dark lips, use a mixture of lemon juice and honey over your lips for 15-20 mins or overnight and rinse it off in the morning.